One of the visitors to the Severn Valley Railway's Autumn Diesel Gala was 45133. 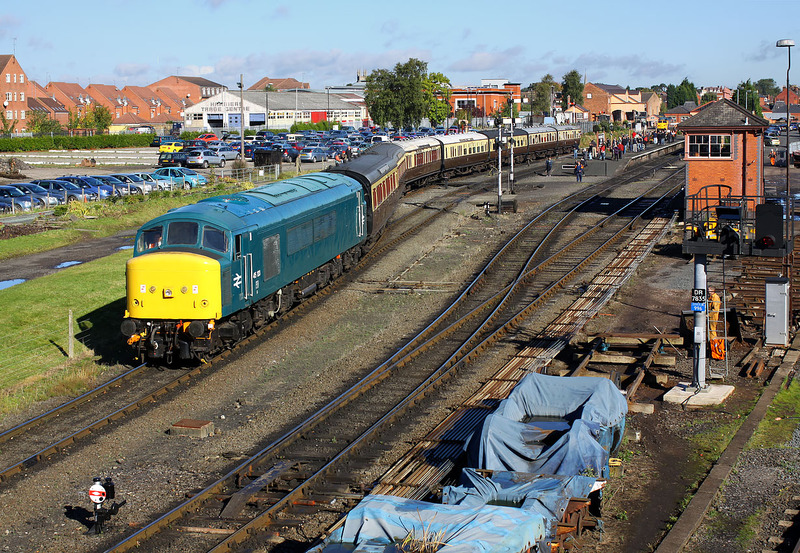 The immaculate 'Peak' is seen here departing Kidderminster on 4 October 2012 with the delayed 10:35 service to Bridgnorth. It certainly looks a lot smarter than when I photographed it on a freight at Claydon over a quarter of a century earlier!